Amsterdam is inspirational, a charming, 17th-century city of small European buildings, sparkling canals, intimate market squares and fascinating cultural highlights. On an A&K journey you see this captivating capital city in all its well-known glory along with many hidden gems. There are more museums packed into Amsterdam than any other city in the world, from the Rijksmuseum to the Anne Frank House. You explore the city’s secrets as well. You might visit a hidden tasting room in a 1679 liqueur distillery and learn the proper way to drink jenever, or see what is thought to be the world’s narrowest house, with a façade just 3’3” wide. Beyond Amsterdam, The Netherlands is teeming with beauty and charm. Windmills that dot the countryside are nestled within flower fields bursting with color. Tiny villages exude European charm. Small towns like Haarlem, with its cobblestone streets, historic buildings and grand churches are waiting to be explored. In Alkmaar, discover why the town’s 1573 resistance of occupying Spanish troops ultimately led to its world-famous cheese market. With A&K’s expert guides and insider moments, enjoy Amsterdam and The Netherlands in luxury and style. Join one of our small group journeys or create your own tailor made journey of a lifetime. 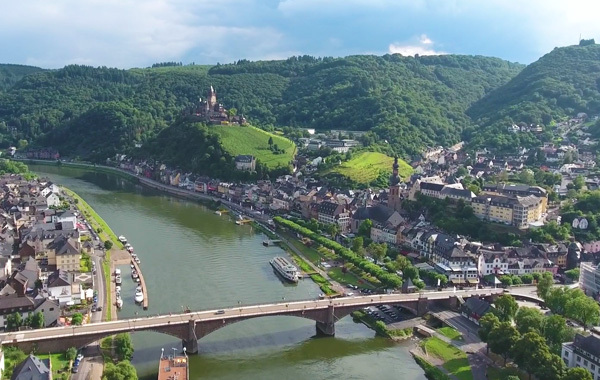 Experience our popular Connections European River Cruise along the Rhine River with Abercrombie & Kent, escorted by your own Resident Tour Director®. Step ashore in Cologne, Darmstadt, Weil am Rhein, Lorsch and Amsterdam to discover five masterworks spanning the medieval to the contemporary and beyond as we cruise along with Art & Architecture Along the Rhine. Connections European River Cruise Journeys afford the only small-group river cruising in Europe. Experience each destination in the company of no more than 24 Connections guests and a Resident Tour Director®, for an intimate, boutique-style journey.